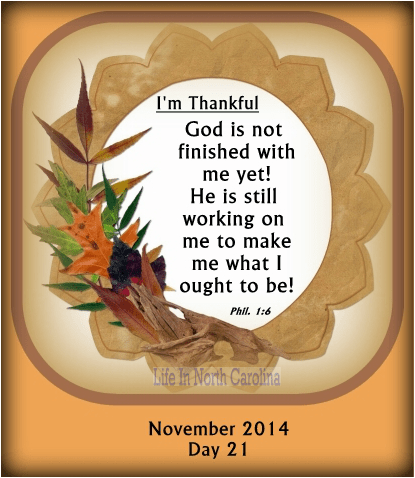 Knowing that God is not yet finished with me is such a blessing! Otherwise, I would be in big trouble! In Phil. 1:6, He says that I can be confident that he will perform the good work that was started in me. When was that started? The day that I accepted Jesus as my Savior. And now I am in His hands – just clay in the hands of the master potter. He can take anything/anyone and make it beautiful. I love the little Children’s song below and the great poem about The Old Violin. Don’t judge her yet, there’s an unfinished part. God gives us the freedom to choose whether or not we want Him to control our lives.